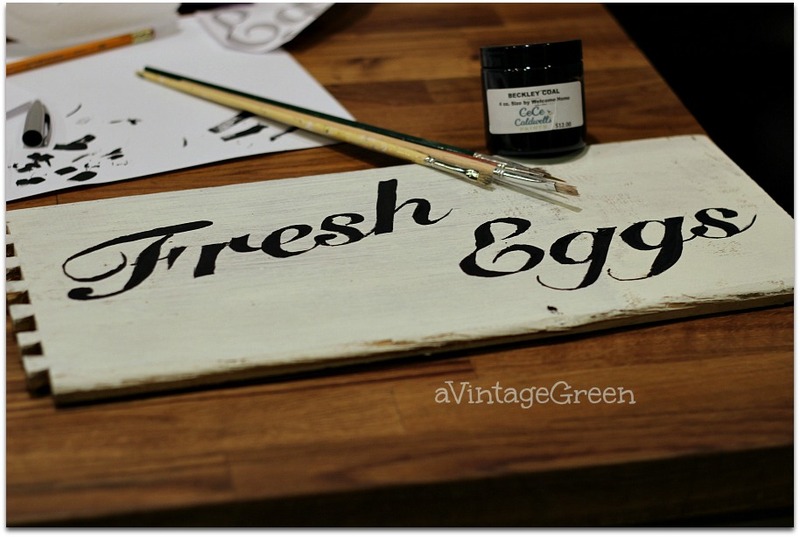 I used a piece of drawer side painted with Simply White Chalk Clay paint (CeCe Caldwell) for my Fresh Eggs sign. and chalked the back of the words. This was so I could 'see' the outlines after tracing. Didn't work for me so I will have to figure out what would be better, maybe coloured chalk? I flipped the letters face down, rubbed the backs with chalk, flipped them over and taped them lightly to my board. I traced over the outline of each letter with a ball point pen pressing very hard. When I finished that I traced each letter with a fine tip sharpie. Aside: I think I wouldn't use a sharpie again, it left an outline that I couldn't hide with the paint. I am wondering if a coloured sewing chalk would work and if it could be rubbed away after the painting was finished. If you look around the black edges you might be able to see the groves from the ball point pen tracing. I didn't take pictures while I was painting, should have. Took awhile to find a brush with a fine enough tip for painting the thin bits. I think there is some brush shopping in my future. 1. chose a font and print it the size you need. 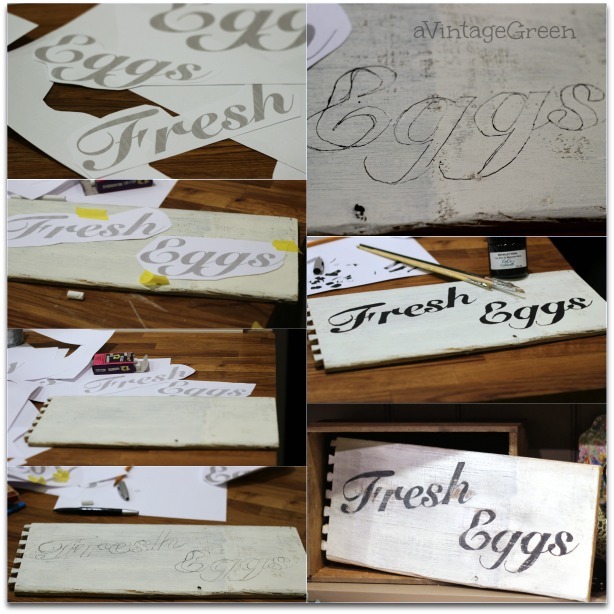 4. fill in the letters with paint - I used chalk type paint and used a selection of fine tipped brushes as I tried to get the best tip for painting. 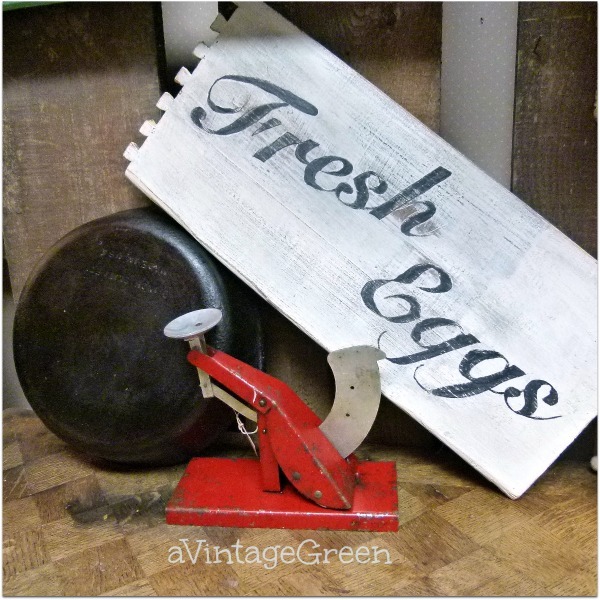 I love the sign set up with a black cast iron frying pan and vintage red egg scale. First try, lots more to learn. When I went to put stock in my booths Sunday I found a GREEN egg scale and just HAD to make another vignetee. Love your hand painted sign! Great job! An interesting process! 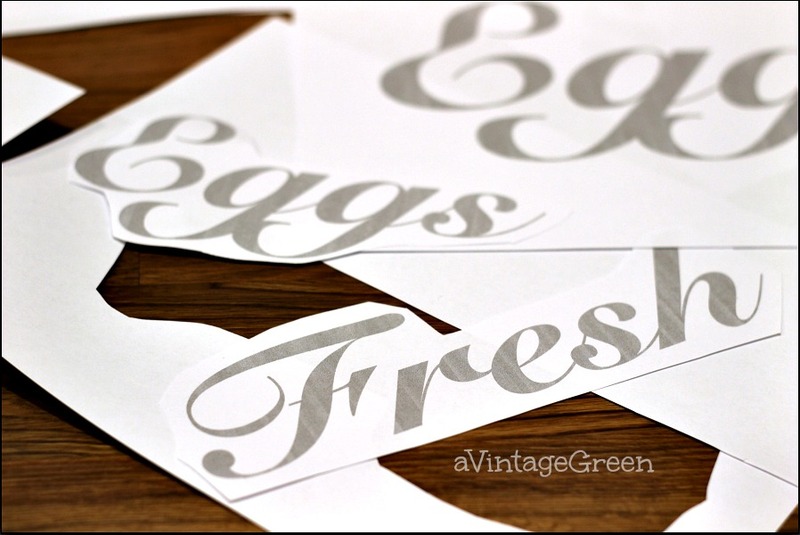 I've not tried hand lettering like that. Have you tried transfer? I have fairly good luck with it. I'm pretty sure I have an old drawer side out in the building.I might give your method a try! You did a great job! Cute!!! Great job! I use graphite - you can get it in both black and white. Also, a lot of time, I rub pencil on the back of the paper and then trace it onto the board with a ballpoint pen. Your's turned out really cute! 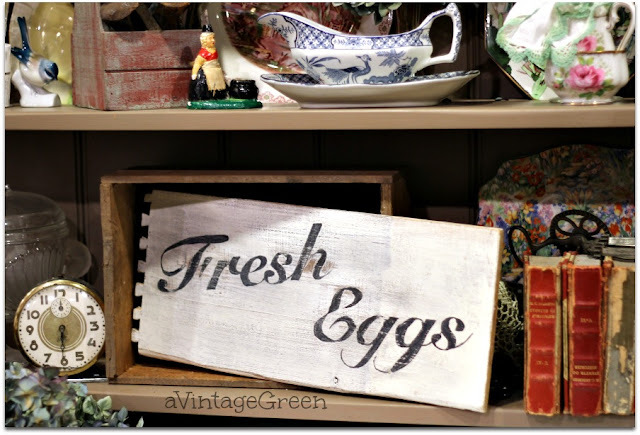 Joy, The fresh eggs signs are nice. I love the egg scales. I`ve seen a few in my internet travels this weekend. Have a great day. Sylvia D.
I like this idea and appreciate the instructions. Your signs are very pretty. 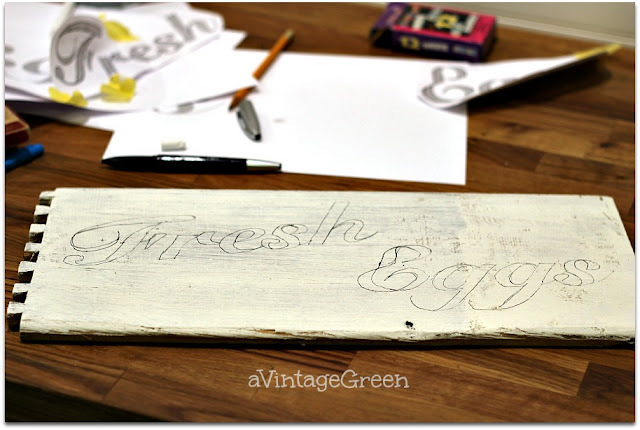 Great sign - love how you re-used part of a drawer. I've made two myself using a similar process, but with pencil lead! 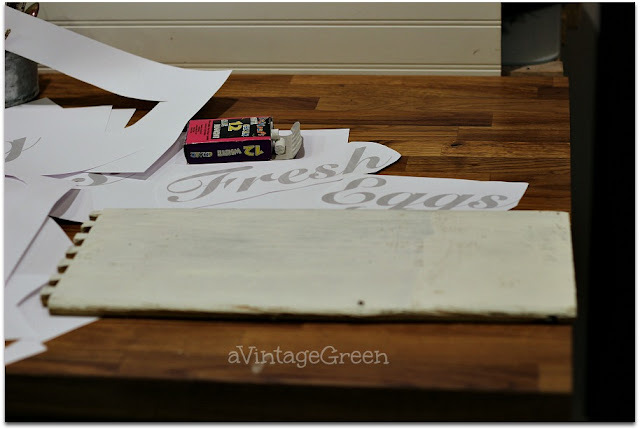 It was nice to see your step-by-step instructions and a 'fresh eggs' sign is perfect for country decor. I love farmhouse decor, and you did a great job! Thanks for sharing at Merry Monday. I did it! I made a sign too--you inspired me to try :) I posted pics on my blog today. Now I've got the bug to do more of them. 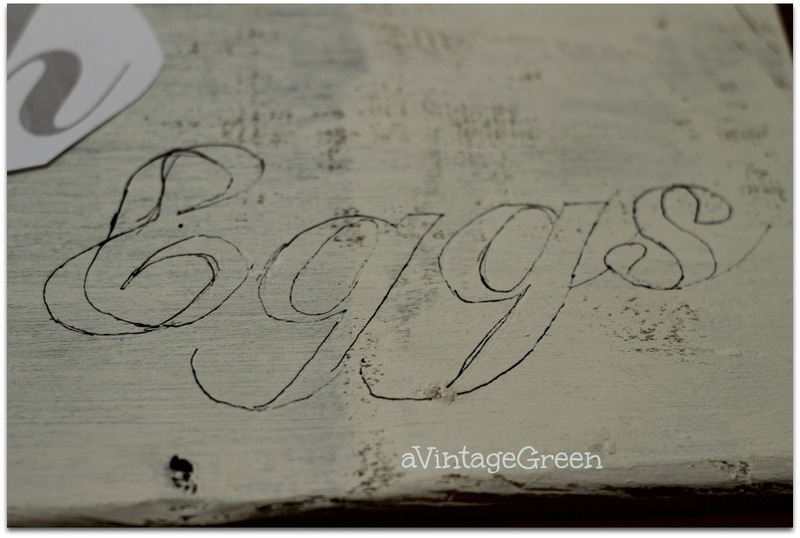 Love your idea of stenciling on a piece of an old drawer. 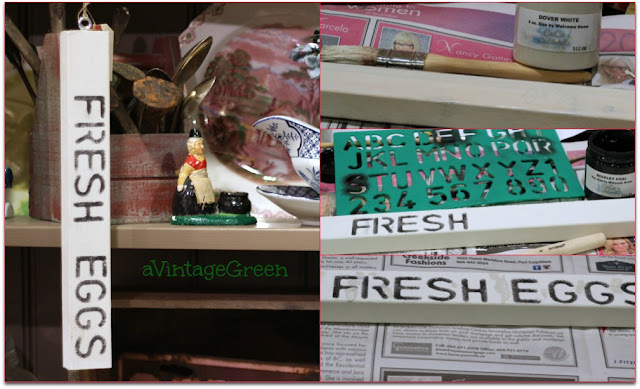 Thanks so much for sharing your cute sign and tutorial at Talk of the Town. Painting signs is addicting and you'll also start hoarding silly pieces of wood because they'll make a cute sign. 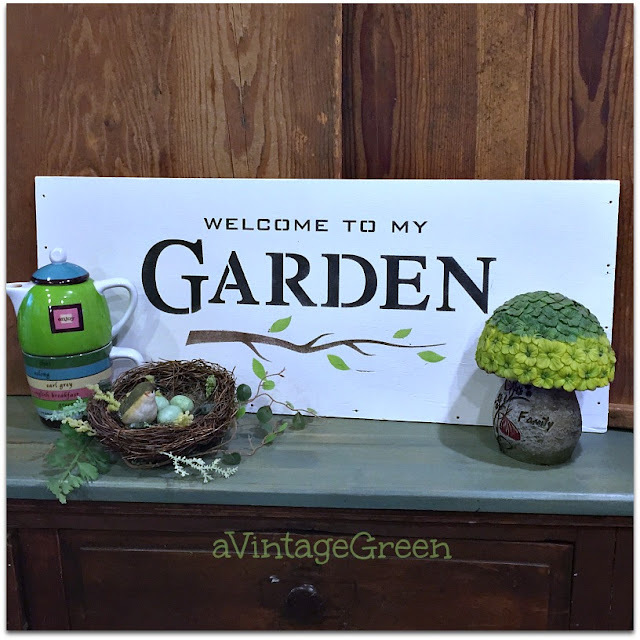 Great signs, great tips! 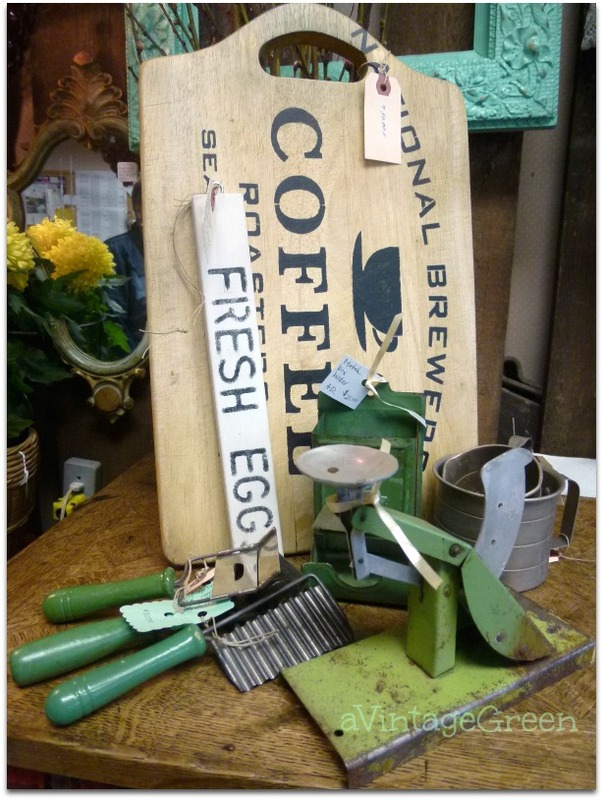 Thank you for sharing with"Let's Talk Vintage!"